Immigration by Investment | GCI - Global Citizenship Investment. We are the world's leading experts in advising foreign investors on Citizenship & Residency by Investment. The term Investment Immigration refers to a process of becoming a resident or citizen of a particular state by financially investing in that country and by fulfilling also specific criteria. St. Kitts and Nevis Citizenship-by-Investment Program is one of the oldest schemes of its kind and was established in 1984. The initiative and success of this program led to other countries to take over same model and apply it within their own policies. The benefit is enormous considering the fast growth of fresh revenues conducting for national areas where it was needed. St. Kitts and Nevis program is well defined by two investment options that provide an economic contribution to the country and efficient allowance for visa-free travels. If your interest is in Investment Immigration, The Consultant Middle East can provide the best assistance and support. 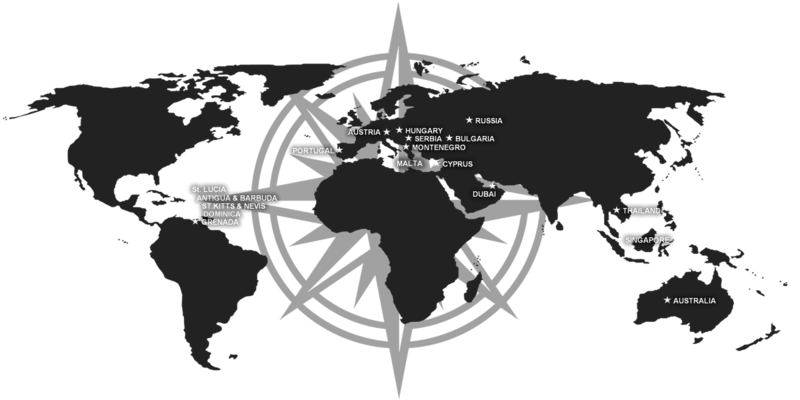 We are specialised in this alternative by investment citizenship programs in a number of suitable countries. Our experienced consultants will ensure that each step is on the right path and your entire application process will be done in the fastest time possible.